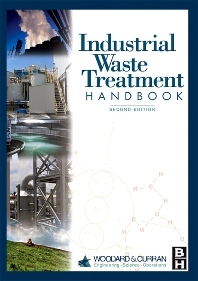 Authors: Woodard & Curran, Inc.
Industrial Waste Treatment Handbook provides the most reliable methodology for identifying which waste types are produced from particular industrial processes and how they can be treated. There is a thorough explanation of the fundamental mechanisms by which pollutants become dissolved or become suspended in water or air. Building on this knowledge, the reader will learn how different treatment processes work, how they can be optimized, and the most efficient method for selecting candidate treatment processes. Utilizing the most up-to-date examples from recent work at one of the leading environmental and science consulting firms, this book also illustrates approaches to solve various environmental quality problems and the step-by-step design of facilities.